The Construction Dive Awards for 2018 – Recognizing the top industry executive, company, innovator, project and dealmaker of the year. ArchDaily’s list of the Best Architecture of 2018 – From the “most viewed” projects to noteworthy articles that were published during the year, the best products and materials used in building and the best architecture events, ArchDaily takes you around the globe with their “best of 2018” lists. The 2018 Metal Construction News Building & Roofing Awards – Topping the list are the Rabbit Hole Distillery, Louisville, KY, York University Station in Toronto, Canada, Ballet Memphis in Memphis, TN, and a “re-roof” at the Four Winds Shopping Plaza in St. Thomas, US Virgin Islands. Dezeen’s Top 10 Skyscrapers of 2018 – From one sporting a 100-metre-high waterfall to the northernmost tower block in the world, top billings go to new skyscrapers in the US and China with cameo appearances by ones in Italy, Russia and Singapore. 7 Most Striking Construction Technology Innovations of 2018 – As compiled by ConstructionDive, the list includes how virtual reality, humanoid robots, artificial intelligence (AI) new sensor technology for hardhats, and drone technology are going to change the “low-tech” image of the industry in the coming years. ENR 2018 Global Best Project Winners – These winning “mind-bendingly complex projects” as announced by the Engineering News-Record (ENR) in October represent a diverse set of 22 projects hailing from 14 different countries and every continent but Antarctica. 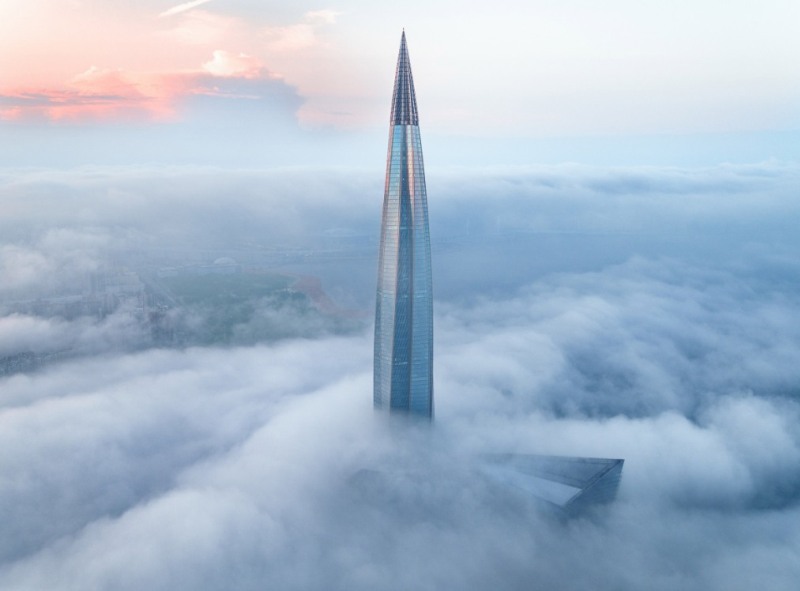 Featured in Dezeen’s list of top 10 Skyscrapers of 2018; the 462-metre-high Lakhta Centre in St Petersburg, Russia, is now the tallest skyscraper in Europe (https://MetalConblog.wordpress.com/2018/12/13/Best-of-the-Best-of-2018). SBA (SteelBuildings Agency) поддерживает выставку SteelBuild-EXPO.